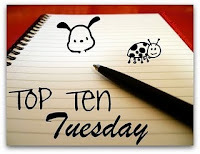 It's All About Books: Top Ten Tuesday: Bookish Theme Songs! This week we are giving theme songs to books! You'd think with my love of music this would be an easy one for me. However, it is not! For that reason, I've only come up with five for my top ten list today. Besides, as you all know, I want to share the song with you too, so ten would just be too much. Anyway, if you have songs that easily go with books, be sure to join us over at The Broke and the Bookish! 1. I love the song My Immortal by Evanescence. I feel like it could be the theme song to pretty much any vampire love story. 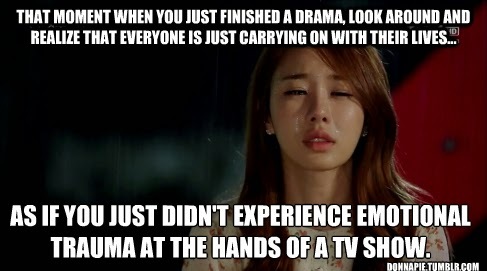 But I've always pictured it with New Moon by Stephenie Meyer, especially. However, I read somewhere that it's actually about the singer's little sister that died when she was only three years old. Can there be a sadder song? It kills me. It gives me chills galore. 2. Another song that I really love is Hazard by Richard Marx. In listening to the lyrics, I've always thought it would make an awesome book! Then a book came along whose description really reminded me of this song. I have YET to read the book! But you all say it's so good! Crooked Letter Crooked Letter by Tom Franklin. I have no idea if this story matches the song at all but my feeling is, it's close. Those that have read it, what do you think? 3. If you've ever read 1984 by George Orwell, AND if you are a Muse fan, you'll know that their album Resistance is all about this book. But especially the particular song Resistance. Pay attention to the lyrics! 5. I really love the song Somebody by Depeche Mode and just knew there should be a book that could go with it. I decided on a John Green book, pretty much any of them. What do you think? If not, what book do you think would fit better with this song? Well, so I hope some of you at least listened to a song or two here! Let me know what you think! I can't wait to see what you've all come up with this week! I bet for many of them I'll go.. "DOH!! Of course!!" Okay, I seriously love that not only have you heard Hazard by Richard Marx but that you think it would make a great book- I totally agree! Love your other choices as well. Kate: Love Richard Marx and especially this song! It NEEDS a book, it really does. I would have a very hard time with this. Great ideas, though! Kailana: It was quite fun once I got going! Melissa: Really? Awesome. I need to go check out what other people came up with now too! Even though I haven't read 1984, I imagine Muse's "Resistance" would be perfect for it! And, I love your chose of "My Immortal" for New Moon. Great choices! Jenni, Yes, I heard that the whole album is their tribute to that book. We'll feature it during our book club read! Fun. Awesome! That will be fantastic! K, I agree that Hazard would fit that Crooked Letter book...maybe. We'll have to read it won't we? Jenny: Okay, you are SO right! Somebody would work perfectly for Getting the Girl. Now, I really wish I would have thought of that! I did My Immortal for New Moon too! But even though I haven't read all of these books I still really like the songs you chose. What great choices! I love, love "My Immortal!" Amy Lee's beautiful voice with that tune and those lyrics is just amazing. Such good choices! That Depeche Mode song is particularlly good for John Green's work. You always do a great job with pots like this one. Me? I would be overwhelmed with the choosing so I just do not. Great choices, and thrilled to see Richard Marx. You are right, Hazard, would make a good book. Mi saw him in concert in the late 80s at a local college, and then saw him sing with Keith Urban this past October. He has talent especially with songwriting. I have never read 1984, but I sure do love the song Resistance and the lyrics I certainly have paid attention to. I guess, I should read 1984 this year.